Guests at the Best Western Cumberland Hotel, Harrow are now watching new Samsung Hotel TV's thanks to a fast installation from Airwave. The mixture of 80 26" and 32" TV's were all installed in a tight one day installation window. 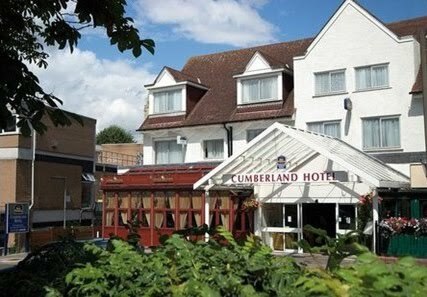 Wayne Bowring, Area Sales Manager for Airwave said, " We are very pleased to have won business from another Best Western Hotel, and hope that the owners of the Cumberland are very happy with their new Samsung Hotel TV's, Hotel Information Channel and head - end upgrade.". The project was delivered to budget and with the minimum of fuss - another win for Airwave. 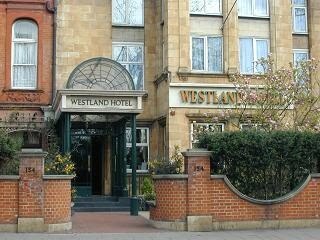 Visitors to the Westland Hotel in Central London will now be able to enjoy up to 50 digital TV Channels and up to 24 Digital Radio Channels in their rooms, thanks to Airwave. The Airwave installation team installed 37 32" Philips Hospitality TV's, and also took away the old CRT televisions for sensitive disposal, to ensure both the Westland Hotel and Airwave satisfy the duty of care and the waste electrical and electronic equipment (WEEE) regulations. "Having made the decision to upgrade our televisions to flat screens we then needed to find reliable and competitively priced supplier. Having searched the web and acting on a recommendation from another hotel, we placed the order for 58 TVs with Airwave. I can say no better than if we need more, we will order through them again. Ordering and installation was carried out as per our requirements and when we ordered a replacement remote control, it arrived within 24 hours. Great Service." - Jennifer Shah on behalf of The Wiltshire.